Packets of tumbled Rose Quartz, available in three sizes. 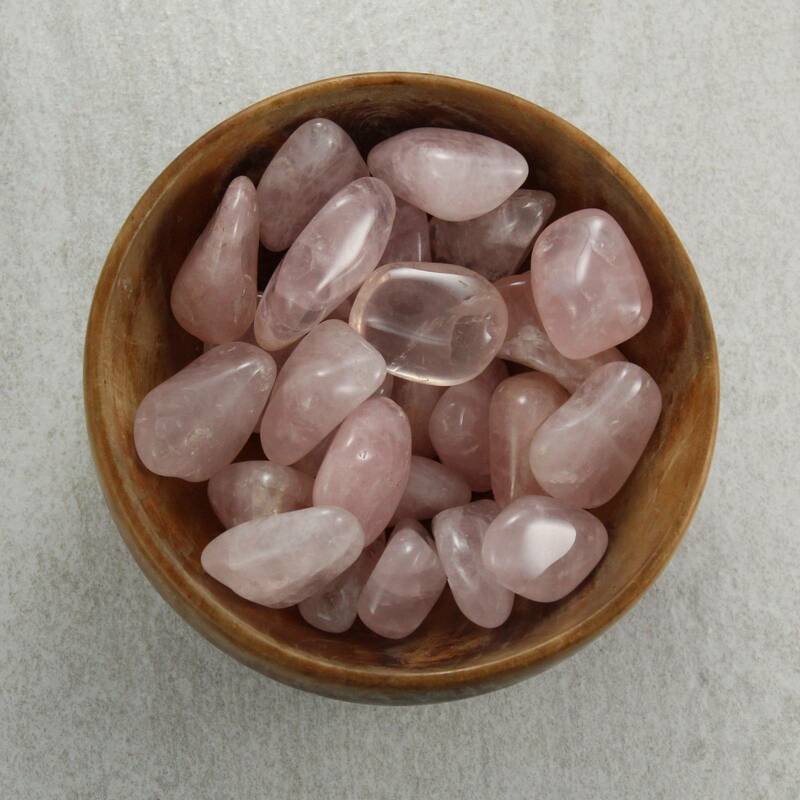 Lovely pink Rose Quartz Tumblestones, available in three sizes and two quality grades. 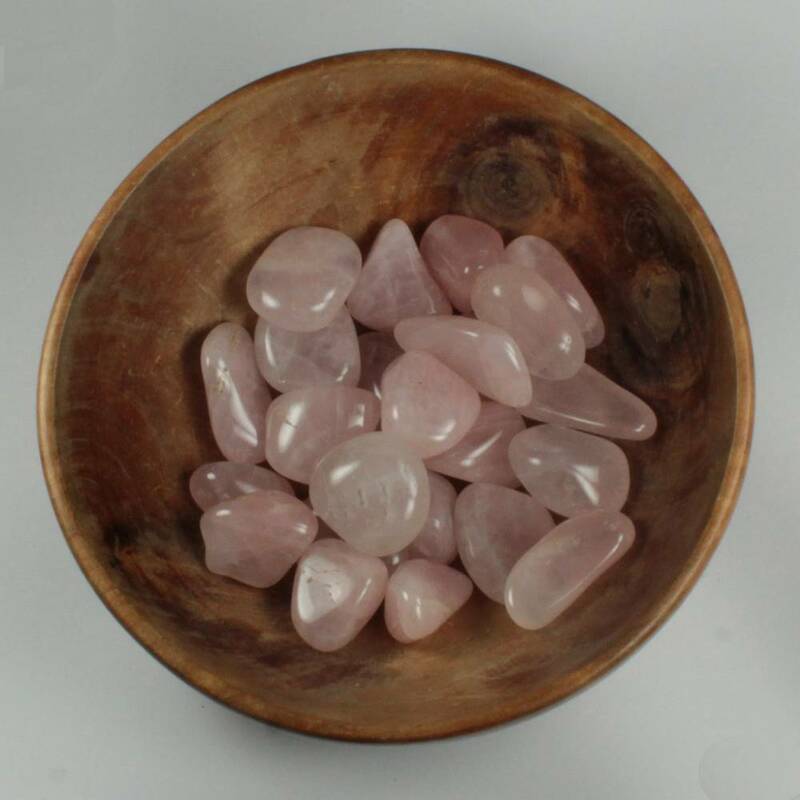 These are a good grade of Rose Quartz, with a lovely pink tone. Our A grade stones are the best quality tumbled Rose Quartz pieces we get currently. The higher the grade, typically the more clear the stone, and the better the colour. Lower grade stones are a paler colour and less see through. They look great displayed in a wooden bowl, or as a contrast stone with red tumblestones. I personally keep some of these lovely tumblestones around the top of a plant pot, because green seems to contrast quite nicely with the pinks too. For more Rose Quartz products, including more tumblestones, rough stones, and carvings, please see our main Rose Quartz section. If you’re interested in tumblestones, but not really a fan of the stone, check out our main tumblestones section.